We have recently been supporting the Housing Minister, Alok Sharma, and the Department for Communities and Local Government as they travel around the country to listen to the experiences, concerns and ideas of social housing residents - all to inform the development of policies which could improve our housing market. 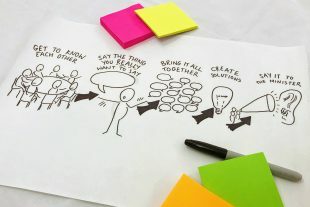 Encourage people to come up with creative solutions and suggestions. This does not simply mean printing off and re-using a ‘standard' workshop (if a 'standard' workshop even exists). It’s all about adapting materials - which isn't easy. I recently experienced a great example of adaptation when I took part in the BBC’s The Fix, hosted by Matthew Taylor and Cat Drew. In leading the workshops, Cat, previously of Policy Lab and now at Uscreates, had to convert a very visual design process for a radio audience, providing alternative cues. Have a listen to how she does it here. My experience on The Fix raised an important challenge: do our methods and tools work for everyone? If we truly value diversity, how can we champion it in our approach? Last year I was lucky enough to lead a team of young people on an International Citizen Service expedition in Tanzania. I had some great thinkers in my team - with a range of styles. Throughout the expedition I clutched a wonderful book called Quiet by Susan Cain. Quiet was my sacred text, explaining the power of the introverted mind. It helped me develop ways to engage with my team and get views from those whose ‘energy comes from within’. I learnt, for example, to help people find safe spaces for thinking - and not to force people to take a view before they've had a chance to develop one fully. Applying design techniques to policy is an action-orientated job - but that does not mean that it is solely a place for highly energetic talkers. All too often it feels like the workshop is the domain of the extrovert. Curiosity is not a characteristic solely held by those who ask loud questions. We need to design workspaces which capitalise on inquisitive minds of those who may not feel ready to ‘jump-in’ with a view. We’ve been introducing conscious quietness in some of our Policy Lab sessions. 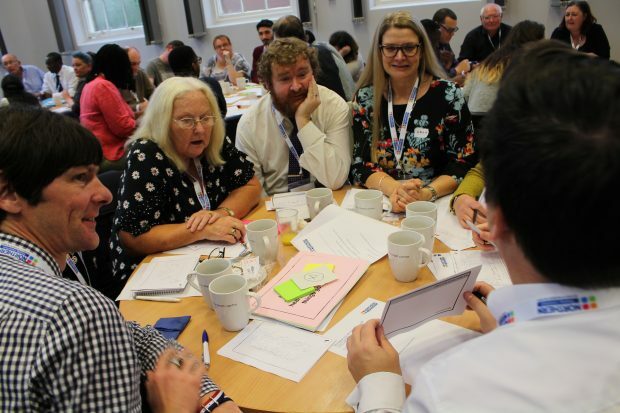 After all, the civil servants we work with have a great diversity of style: Emma Charles in One Team Gov has written a nice blog on a Civil Service introvert experience here. Designing for everyone can mean encouraging participants to develop their thoughts individually before coming together for, often more thought-through, discussions. We also did this in the workshops with social housing residents, starting by asking attendees to first write or sketch their thoughts (individually, or with their neighbour’s help). It has been really powerful to hear some people stand up and speak at the end, proudly telling us that they would not normally have felt comfortable speaking their views in open forum - but feel empowered to do so. Adaptability is vital in workshops: both in the design and planning, and also in real time. We know that words like ‘co-design’, ‘action-oriented’ and ‘end user’ can inadvertently exclude people. So when we test, we make sure there are different ways to demonstrate a concept and different ways to feed back. Last month we were out testing ideas with members of the public (see Sanjan's 'Prototyping for the Private Rental Sector'). Whilst some participants understood when shown a picture, others valued hearing an idea explained, or having the opportunity to write their thoughts as we went through. Know your participants: Start by designing with a clear idea of who your participants are, challenging biases and ‘groupthink’. 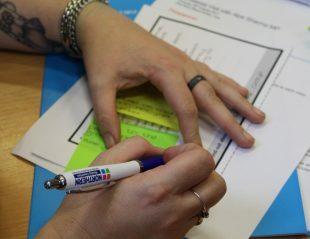 Workshops can have hidden biases towards the style of facilitator or those invited to attend. Ensure the physical space supports all attendees, making adaptations for specific needs - such as those who are partially sighted or less mobile. Embrace variety: Build trust, and create spaces for different styles, by providing opportunity to contribute in different ways. This does not only mean spoken contributions. Incorporate time for individual work to stimulate divergent thought whilst reducing workshop fatigue and over-stimulation in larger groups. Reflect: All the while, reflect on what worked well and improve the next time. Practise an iterative approach in the very way you construct the design process. Our tips aren’t meant to be prescriptive so I’d like to turn this discussion over to the blog-o-sphere and ask a question of you. What works here? What is the next practice on engaging different styles in the design process? Write to us, write to me, tweet us, post a comment. We may not respond quickly, but I really hope the response will be thought-through. One thing I've started to observe is a bias from designers - that everyone can draw out their ideas when they're shown how to draw. They can't. Some people (maybe 35% according to studies) don't think in pictures at all. In a workshop I was in last week a very knowledgeable stakeholder got visibly frustrated with a drawing task, and said "I think in words. I might as well do this in interpretive dance". And a content designer I work with struggles with these activities as well. I've thought about ways to allow for people to give their thoughts in words - for example, 'day in the life'. Other people have suggested the 'postcard from the future' concept (cheesy as it may seem). Or at least splitting out the story part into words and then getting people to draw out what they've written down.